Essex County’s new Vocational-Technical high school is a three-story, 310,000 SF building. The school offers education and hands-on training in a variety of fields, including culinary arts, carpentry, plumbing and electrical systems, green energy, information technology, television and radio, cyber security, and public safety. 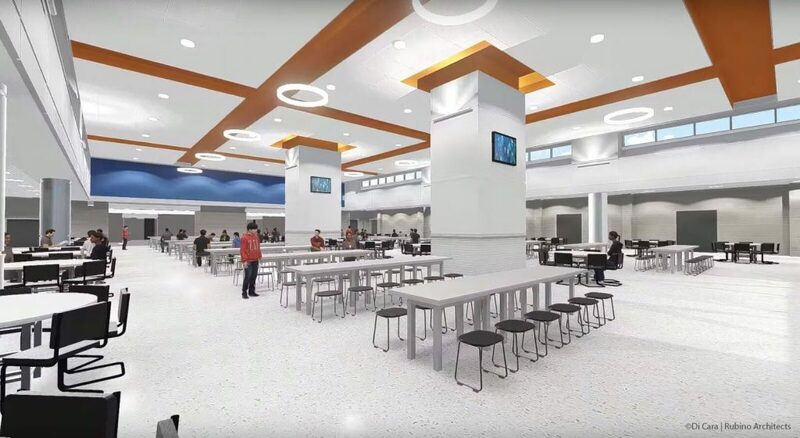 The school is innovatively designed with elements to facilitate students’ hands-on learning, including a restaurant and storefront, a green roof, solar panels, and a greenhouse. It also has two gymnasiums, an outdoor amphitheater and underground parking garage. Envision provided cost estimating, Order of Magnitude, and Capital Improvements Assessments for this complex, $100 million project.